No matter that he has been ranked as one of the best junior tennis players in Europe and the best in his country — at Tech, Phillip Gresk still must slog through classes just like everyone else. “They’re a grind,” he laments. 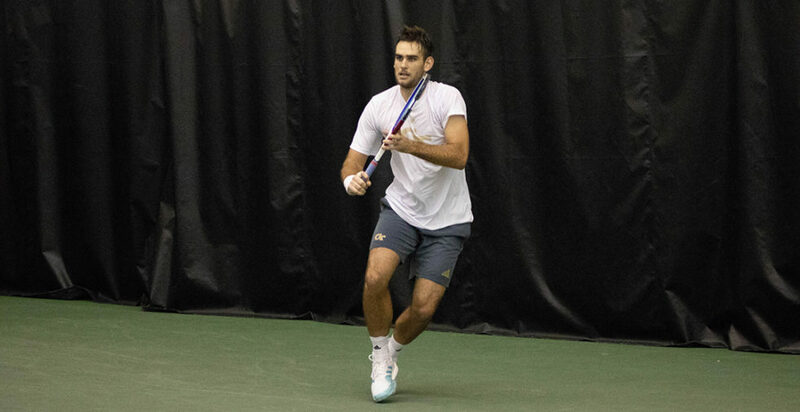 As a part of the core of Tech’s tennis team for the past four years, Gresk will be finishing up his final season in the white and gold this spring, highlighting a talented squad poised for contention in the best tennis conference in collegiate athletics. Originally from Poland, Gresk has anchored Tech’s tennis squad, which is off to a 3-2 record on the year already. Gresk left his native land — with a little help from his parents — to pursue his dream of playing competitive tennis. “When I was four years old, my mom signed me up for tennis lessons after school … as I got a little older, I started playing more and more, and I started liking it a lot: enjoying being on the court and playing tennis,” Gresk explains. So when Gresk was seven years old, his parents decided to move to Florida to allow Gresk to train at the prestigious IMG Tennis Academy, which has graduated such tennis superstars as Serena Williams, Maria Sharapova and Jim Courier. “It was a pretty big investment from their side,” he notes of his education. From there, Gresk underwent a brutal training schedule. “I was playing in Poland mainly in the summers, living and practicing [in America] in the winter,” Gresk says. He would balance classes and practices as a junior tennis player, developing during the school year and showing off in European tournaments. Gresk captured a gold medal in doubles during the 2011 European Youth Olympics and was ranked the No. 1 junior tennis player in Poland before coming to Tech. A perfect fit indeed. Gresk has anchored Tech’s lineup. He has picked up some big wins over the years, including remaining undefeated in the 2017 Georgia Tech Invitational, but looming largest in his mind is when he can contribute to the team. Asked what he felt his biggest victory had been, Gresk cited Tech’s 2016-2017 team making it to the second round of the NCAA Tournament. “We had a really good team that year,” Gresk says.